From Part 10: Logging, you learn how to configure and use logging on ISA Server 2006. Now, you will learn about HTTP filtering.Have you ever want to block users using MSN or Yahoo messenger, or deny them to using free email services, or block them to post anything on web boards, or block them to use bit-torrent to download files? This post will answer these questions with Microsoft ISA Server 2006. Request Methods. For example, GET, POST, CONNECT. Host. 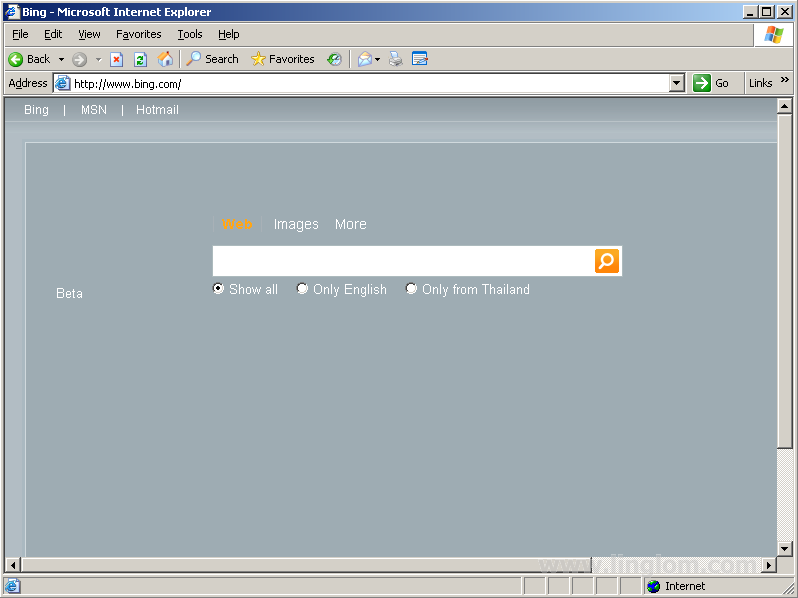 The domain name of the server, for example, www.bing.com, www.linglom.com. So why learn about these HTTP headers? You can use these HTTP headers information to block or allow specific application on ISA Server 2006. Still not get it? Let’s see some examples of real HTTP traffic. You can use some sniffer program to capture data packets that pass in/out through a network interface card on a computer. On this example, I use Ethereal. I install it on the same server as ISA Server 2006 but you can install and test on any computer as you want. Then, I start capturing packets on the network interface card that connects to the Internet and browse to http://www.bing.com using Internet Explorer. After that, I see these HTTP traffics on ethereal. First, My computer sends a HTTP request to the web server (www.bing.com). Detail: Request Method is GET. User-Agent is Mozilla/4.0 (compatible: MSIE 6.0). HOST is www.bing.com. Second, the web server has send HTTP response back to the client. The response packet looks similar as the figure below. Detail: Response Code is 200 (OK). Content-Type is text/html. Now you learn some concepts about HTTP and its header. Next, I will show how to use these information to block Windows Live Messenger on ISA Server 2006. I’m newbie of ISA 2006, but to know that what is the benefits of “Configuration Storage Server”? If you are using ISA Server Enterprise edition, you can have more than one ISA Server in an array so that if one fails, other still operate. The Storage Server stores configuration which used by ISA Server arrays.